Want a fun night of free food, & $2 drink specials? Want to network with other college students while kicking off the 4th of July holiday weekend? Thinking about career options after senior year? You can knock out your career questions while knocking down a few pins and drinks at the new Corner Alley Uptown on Thurs. 7/2, 5:30-8:30. $2 drafts and drinks continue all night long! This is a very casual, fun social event for undergraduate students of all colleges. It will be great opportunity to network and chat with peers and get more information on summer in Cleveland, scholarships, careers, jobs, and connections. Food and soft drinks will be provided. Of course, you are welcome to purchase alcohol on your own. Bring a guest, bowl, or mingle and stay as long as you like outside of this event. The new Corner Alley is a great venue. Undergraduate students from John Carroll University, Cleveland State University, Case Western Reserve University and other schools are welcome to attend. 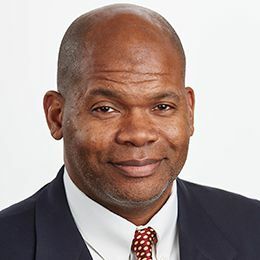 Ted Evans brings 20 years of industry and consulting experience with firms like A.T. Kearney, Accenture, Aon Hewitt and Grainger to Case Western Reserve University. If you could benefit from this type of consultation, send an email to Ted at tedlistens@case.edu and meet Ted at The Corner Alley Uptown on Thursday, July 2! Thursday, July 2, 2015 from 5:30 p.m. to 8:30 p.m.